ASSOCIATED PRESS Holocaust survivor and writer Elie Wiesel died on Saturday aged 87. Activist and writer Elie Wiesel, the World War Two death camp survivor who won the 1986 Nobel Peace Prize for becoming the life-long voice of millions of Holocaust victims, has died, Israel’s Holocaust memorial Yad Vashem said on Saturday 2 July 2016. Wiesel, a philosopher, speaker, playwright and professor who also campaigned for the tyrannized and forgotten around the world, was 87. In awarding the Peace Prize, the Nobel Committee praised Wiesel as a “messenger to mankind” and “one of the most important spiritual leaders and guides in an age when violence, repression and racism continue to characterize the world.” Elie Wiesel went on to receive another 6 human rights awards, including one named after himself. An example of how (making) film can teach young people to become human rights defenders. This comes Essex county in the USA. 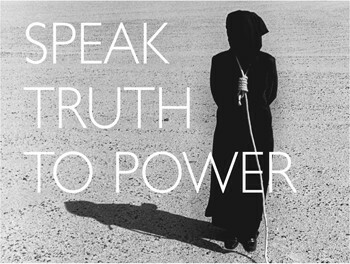 The Speak Truth To Power student video competition encourages school students to become engaged in human rights. The video contest is sponsored by New York State United Teachers and the Robert F. Kennedy Center for Justice and Human Rights and is based on Kerry Kennedy’s book Speak Truth To Power. Students who participate in the contest must choose one of the individuals identified by the RFK Center Human Rights and create a three- to five-minute short film. The contest is looking for student films that utilize creative storytelling to teach others about a human rights issue. The format is open to documentary, stop motion, narrative, digital photo essay or other innovative explorations that involve filmmaking components. “Essex County Executive Joseph N. DiVincenzo, Jr. and the Essex County Vocational Technical School District …… are all very proud of Chris and Julio for winning the top prize in the RFK Human Rights Center’s student film contest. ……..It was important to share their film with our Essex County audience to raise awareness of this emotional issue and to highlight the exceptional work of our students”. The first public premiere of the film was made Tuesday, April 21st during the afternoon celebration in Newark. In addition, the will be shown at the Tribeca Film Festival in New York City on Thursday, April 23rd. “I want to thank our students for their courage and their hard work,” Essex County Vocational Technical School Board President Father Edwin Leahy said. “Every time you speak the truth, you don’t get a crowd like this. You have to continue to do what is right even if you don’t have a lot of support”. “Today is an amazing celebration of education,” said Bloomfield Tech Social Studies Teacher Jennifer DaSilva, who gave the students’ the assignment. “Both students have flourished in our Diaspora class. Their film is extraordinary and helps raise awareness about the tragedies taking place in the world today”. Also sharing words of encouragement were Assemblywoman Sheila Oliver, Freeholder Patricia Sebold, Sheriff Armando Fontoura and Chief of Staff Phil Alagia. ESSEX COUNTY EXECUTIVE DIVINCENZO AND ESSEX COUNTY VOCATIONAL TECHNICAL SCHOOL DISTRICT HOST STUDENT FILM SCREENING – Montclair.